Droid Incredible's Day of Froyo: August 18? HTC's Droid Incredible is reportedly next in line to get a big speed boost, Flash 10.1, and all the other benefits of Android 2.2, codenamed Froyo. The Froyo update will be available for Droid Incredible owners on Wednesday, August 18, according to Mashable's unnamed sources. Verizon Wireless team members are reportedly using the new version of Android on their phones already. Android 2.2 is arguably the most substantial upgrade yet for Google's mobile operating system. In addition to supporting Flash 10.1 and faster processing speeds, Froyo delivers Wi-Fi hotspot capabilities, new voice commands and "Chrome to Phone" syncing. For a full rundown of what's different in Froyo, see our FAQ. A near-future Froyo release for the Droid Incredible makes sense given other recent developments. 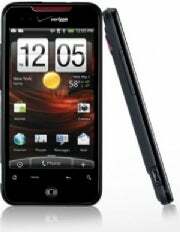 After Google made Android 2.2 available for its Nexus One phone in late June, Sprint followed in early August with an update for HTC's Evo 4G. Then came Froyo for Motorola's first-generation Droid, and word that the Droid 2 would be the first Android phone to ship with version 2.2 out of the box. On Verizon, that leaves the Incredible and the Droid X, which is rumored to get its upgrade by early September. I would expect the Incredible to get Android 2.2 within the same general timeframe. As for whether Wednesday is the big day, even if Mashable's report is spot-on, keep in mind that these updates tend to roll out over a span of a couple weeks. I know of Droid owners who were still waiting for Froyo late last week, and Sprint, which began updating Evo 4G phones on August 3, didn't finish its rollout until the middle of August. Sometimes, clever users can find ways to get Froyo without waiting for an over-the-air upgrade, but not until the wireless carrier makes the upgrade official. And for that, we'll just have to wait and see what August 18 brings.